I use a photo album to store my student's emergency contact information alongside their photo. This has worked well for me in my kindergarten classroom. 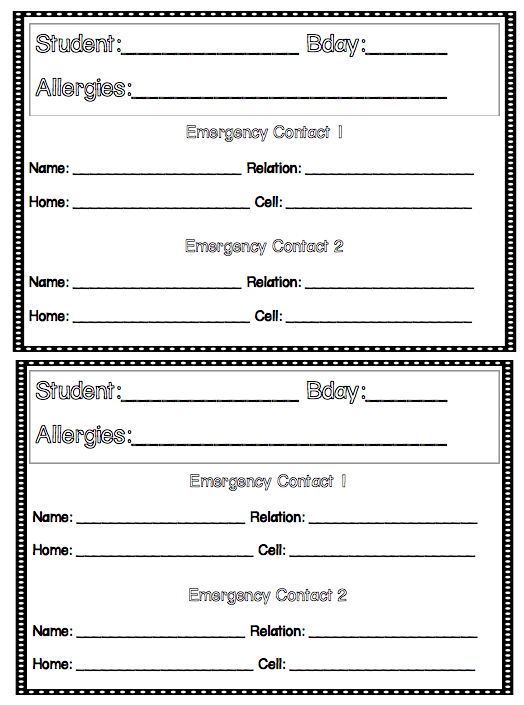 Just replace the photo album cover with one of the emergency contact covers from this TpT item, add pictures of your student and parent and emergency contact information! Send the parent contact information form home with students so their parents can fill it out!